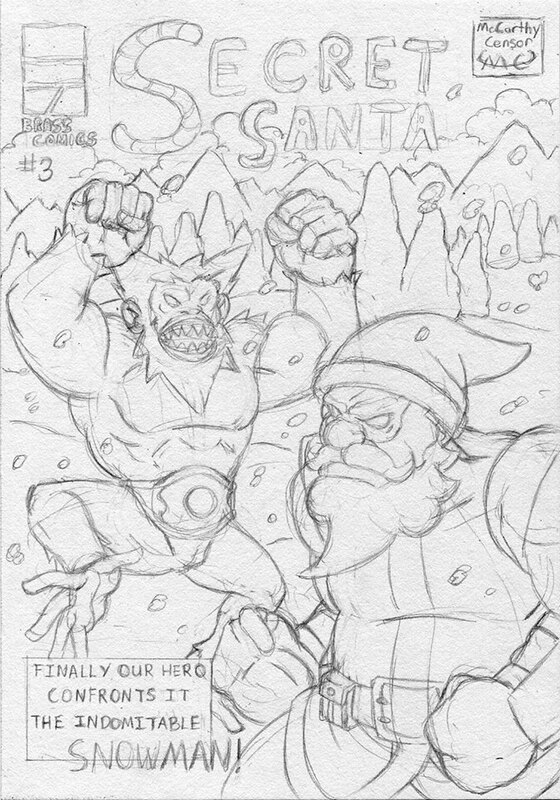 I was hoping to have this as a Christmas update, but never got around to inking it. Figured I may as well show it now! As a reminder the regular updates will be back Feb. 3rd. Be sure to follow me on Facebook and Twitter to see previews and get regular updates on Transyltown and the rest of my art! Good to see the site if working again. Hooray! And please, Secret Santa vs The Indominitable Snowman. Something tells me there’s going to be some roast beast at the Claus home for supper tonight. Mrs. Claus ain’t gonna be happy about that.